A young carer is someone under the age of 18 who helps look after someone in their family, or a friend, who is ill, disabled or misuses drugs or alcohol. This does not have to be a grown up person that you are looking after, but can include helping a parent or friend to look after a disabled child or young person. There are many more reasons but this is just a small example why a young person may be caring for a family member or friend. 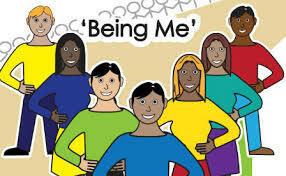 The young person may live in a one parent family and the parent they live with needs to be looked after, the young person is likely not to see themselves as a carer but feels that it is their duty as it is just them and the parent. The young person is learning lots of useful and valuable skills. However, this should not mean that they miss out on the things other young people are doing. Caring for someone can have a big impact on the things that are important to growing up, with many young carers struggling to juggle their education and caring can cause pressure and stress. It can affect the young person’s mental health, social life and self confidence. 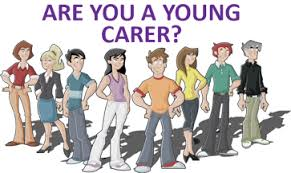 In a survey, 395 young carers said that nobody in their school was aware of their caring role. The Children and Families Act covers young carers under the age of 18. For the first time, young carers have new rights under this Act, in the part of the Act about Child Welfare. Part 5, Section (s.) 96 of the Act details the rights for young carers. These rights are, that local authorities must assess whether young carers in their area have support and, if so, identify any needs they may have. What help and support is available to a young carer ? Barnardo’s is commissioned by the local authority to provide support to Young Carers in Wirral.